I’ve used the app every day since they launched in 2010. It’s my version of sitting down with the daily newspaper. I’ll use it in the morning while I’m having a cup of coffee, or at the end of the evening with a glass of wine and I’ll flip my way through the day’s news, articles, photos and updates. It’s my version of sitting down with the daily newspaper. I’ll use it in the morning while I’m having a cup of coffee, or at the end of the evening with a glass of wine and I’ll flip my way through the day’s news, articles, photos and updates. The app’s recent addition of the ability to create and share your own magazines only makes me love it more. You can start your own magazine, invite others to contribute to your magazine, or subscribe to other Flipboard editors’ magazines. Wish there was a magazine all about cronuts? Start one of your own and populate it with articles from the web about the trendy pastry. A “Flip It” bookmarklet makes the process of adding content incredibly easy, and the browser-based editor allows you to manage the articles and cover stories. 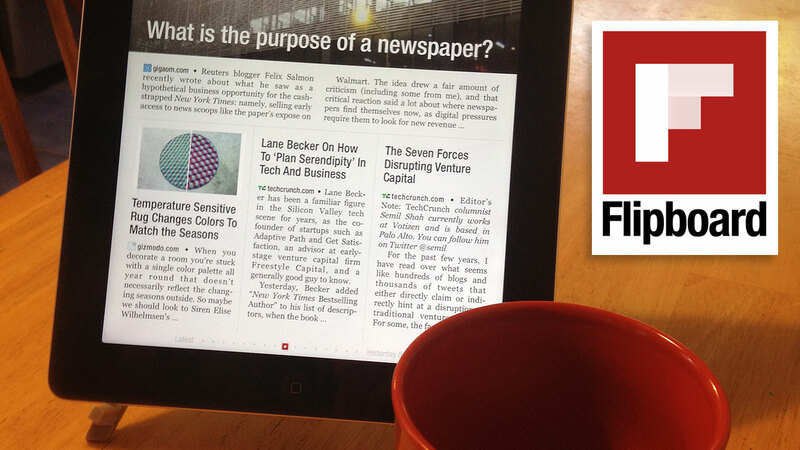 It will be interesting to see what Flipboard does next, whether they offer the ability to insert ads in your curated magazines or partner with a print-on-demand service to allow you to print a physical copy. As someone who has been interesting in publishing since a very early age, this fascinates me. What once was financially prohibitive now has no barrier to entry and grants you immediate access to an almost global audience. I’m already experimenting with a few magazines of my own. The app is available for free for both iPad and iPhone.